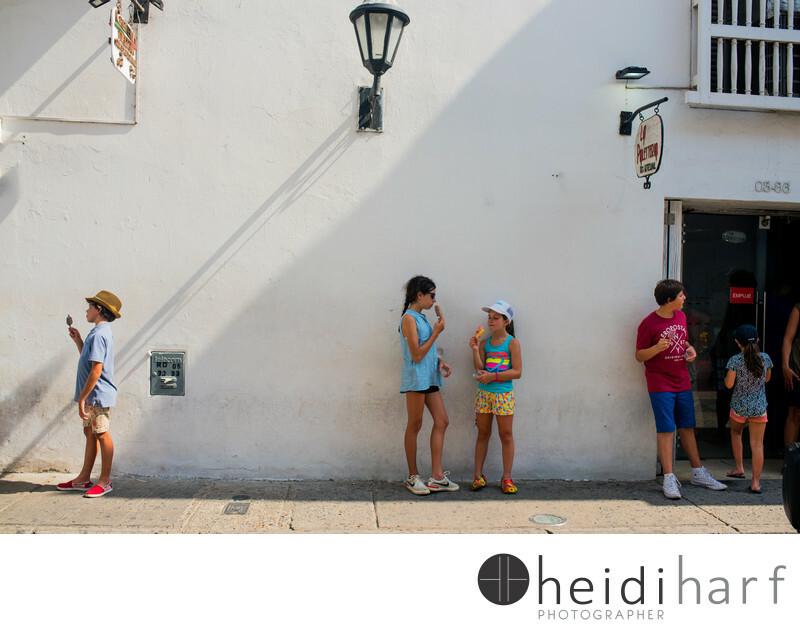 Kids eating ice-cream on the streets of Cartagena during a documentary family Session. Location: Cartagena de las Indias. Keywords: Family portraits in new york (3), hamptons beach photographer (81), hamptons family portrait photographer (6), new york family photography (15), southampton new York (12).